18-kanaler och 12-bussars digitalmixer kontrollerbar från iPad/Tablets och Mac/PC. Ställ bara denna direkt på scenen, anslut via inbyggt Wifi och kör! X18 är en revolutionerande digitalmixer tillsammans med en iPad eller Android-platta! Med 16 programmerbara MIDAS-preams och integrerat WIFI som gör att du kan kontrollera hela mixerbordet från dator, iPad eller Android-Tablets. 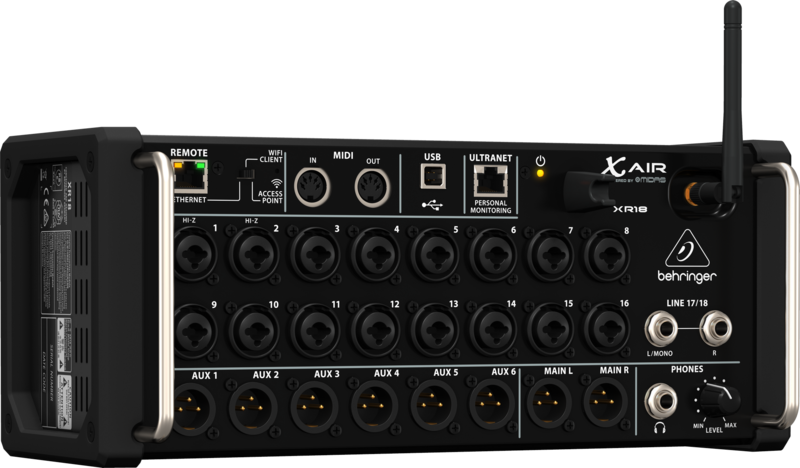 X18 har även en USB2-port som du kan ansluta till en dator och få 18 kanaler in och ut med låg latency. X18 har även automat-mixer funktioner för konferenser. 16 st. digitala MIDAS mikrofonpreamps. USB-anslutning till Mac/PC för 18 kanalers ljudkortsfunktion. Automat-mixer funktioner för konferenser, möten och tal. 4 integrerade effektmotor (hämtade från X32 mixern). Stort paket med effekter till din dator. Stöd för iPad, Android tablets, mac, PC. Levereras med inspelningsmjukvaran Tracktion 4. 32 kanaler audio eller midi. X AIR EDIT (PC/Mac/Linux) kontrollera din X18 från vilken dator som helst. BEHRINGER is proud to incorporate MIDAS designed mic preamps for the ultimate in high- quality audio reproduction in both live and studio environments. Find out more about MIDAS’ amazing legacy by visiting their extensive website. Unlike typical graphic EQs, our STEREO TruEQ delivers the exact frequency response for the new fader setting, taking neighboring fader settings into account – for surgical and responsive filtering or general room equalization (Modeled after BEHRINGER UltraCurve DEQ2496). 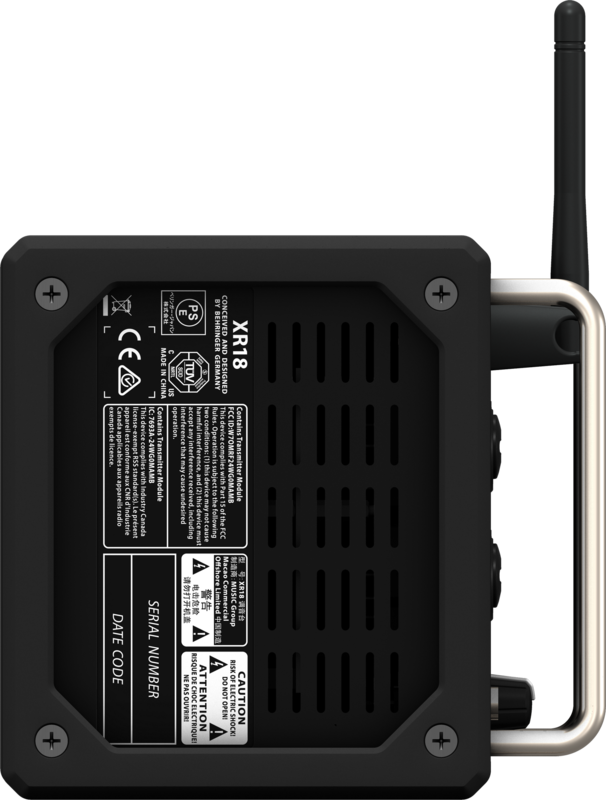 The XR18 can provide up to 16 mono graphic EQs – one in each of the 6 Aux Buses and Main LR, plus 8 additional mono GEQ effects (4 stereo) that may be inserted into channels. Front of House is wherever you and your iPad are – thanks to the new X AIR for iPad. 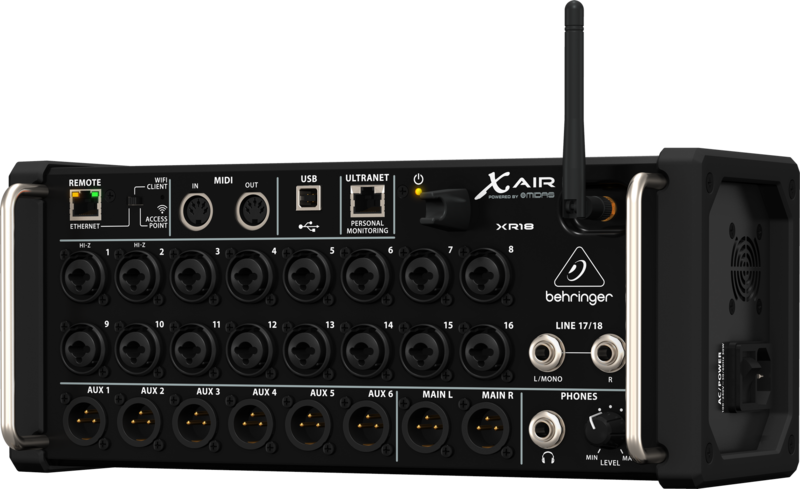 Simply download the free app to your iPad, set the BEHRINGER X AIR mixer to Access Point mode and connect your iPad to the XR18 network that will show up. 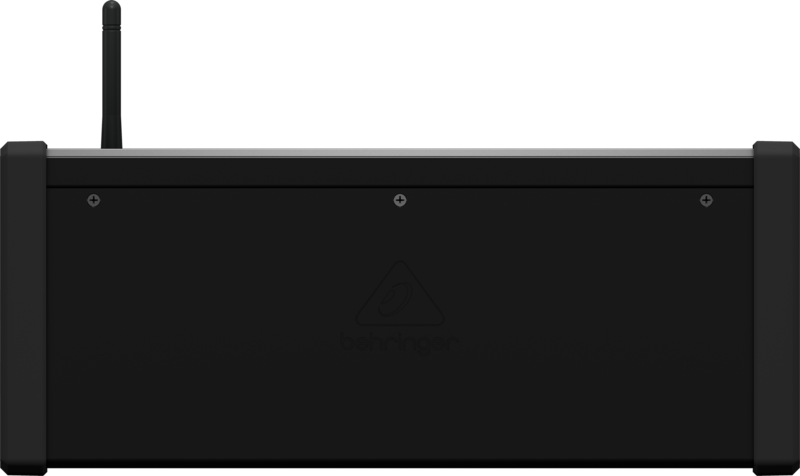 After launching the X AIR for iPad, select the mixer image, and all of your X AIR mixer’s settings can now be adjusted directly from your iPad. You can save your favorite scenes, and load previously stored scenes and presets to/from your iPad or customize your channel layout – all with the support of innovative drag ’n’drop functionality. 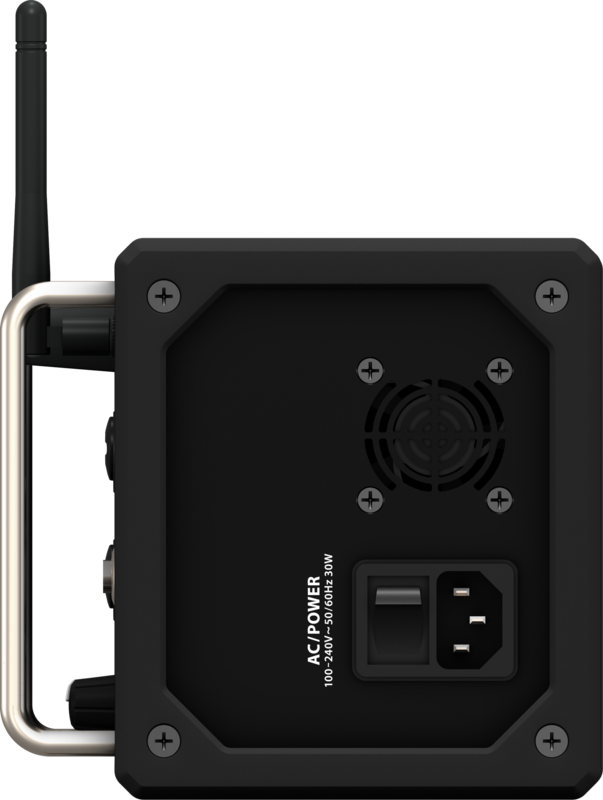 Designed specifically for all Android mobile devices (2.2 or higher), which includes tablets and smartphones, the app can be used in one of two modes: full access mixing mode; or bound to a specific aux bus for creating personal monitor mixes remotely on BEHRINGER X AIR mixers. Using this free and easy to learn app, each performer can use their Android device to dial-in the perfect personal IEM or wedge monitor mix, without having to consult the audio engineer for assistance. With the X AIR App for Android, personal monitor mixing just got a whole lot more personal – both live and in the studio! 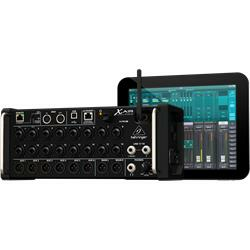 But it doesn’t stop there – in full access mixing mode, the app provides control over all channel processing including the RTA overlay, effects editing, storing/loading scenes or presets, and much more – whether you’re running a 12" tablet or a 5" smartphone. 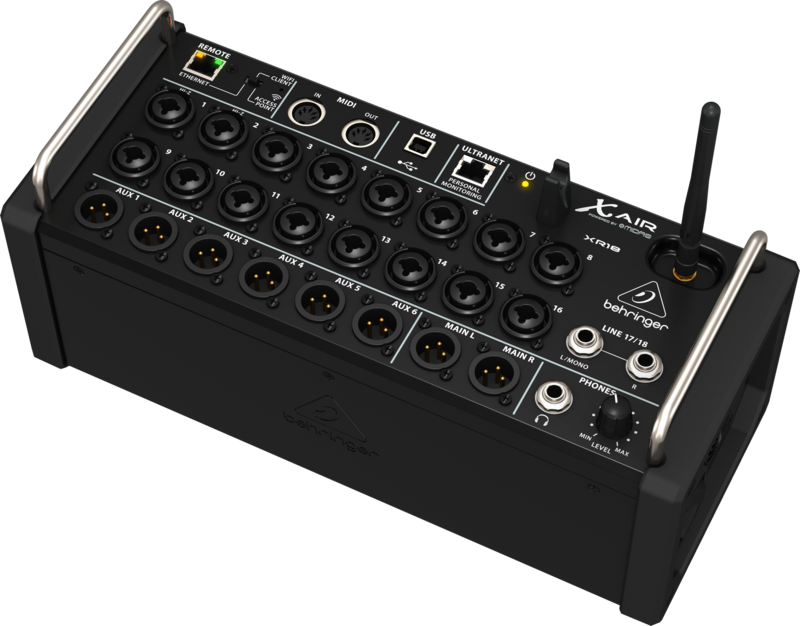 As our way of saying “Thank You”, when you register your XR18 mixer at behringer.com, we’ll reward you with a complimentary download code for the full version of Tracktion 4 – or for a 50% discount on Tracktion 5. Recording and editing couldn’t be easier. To learn more about Tracktion, visit http://www.tracktion.com/support/videos. Visit your local BEHRINGER dealer and take a closer look at the exciting, new XR18 Digital Mixer, or get yours online – today!